It should go without saying that some contents of a storage tank can pose a considerable fire hazard, but what solution can ensure a high level of minimum protection? One such solution is the Tuffa FireStop tank. This fire protected tank, which in common with the well-established Uttoxeter firm’s other tanks comes in a wide range of capacities and specifications, incorporates an integrally fitted fire barrier to prevent fire coming into contact with vulnerable contents. This protection is available for both steel and plastic tanks and is the sole system of its type currently on the market. A Tuffa FireStop fire protected tank makes sense on many levels. 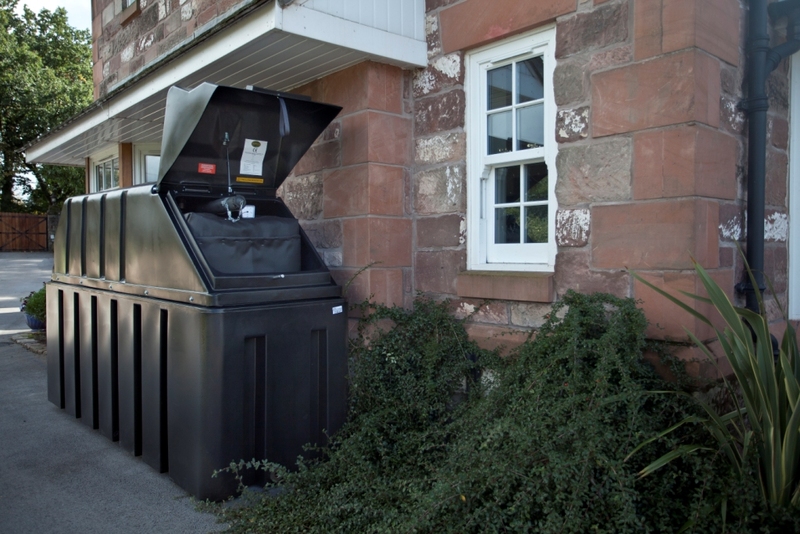 Whether the tank is intended for a domestic or non-domestic application, it can be specified in a size as small as 1150 litres or as large as 15000 litres, with a choice of 30 minute or 60 minute fire protection. In keeping with the highly bespoke nature of Tuffa’s steel tanks, those selecting a fire protected tank in this material can also request tailor-made fire protection. Tuffa has designed and manufactured its fire protected tank to minimise inconvenience and expenditure at all stages of use. There is no requirement for any extra works on site, for example, whether in the form of barriers, brickwork or firewalls, which enables the immediate installation of the tank. The new tank can be placed in the same location as any previous tank. Installation is made easier by the lack of need for Building Regulations approval, with the Department of Communities and Local Government (CLG) having introduced the Competent Persons Scheme so that certain types of building work can be self-certified. Although compliance with Local Authority Building Control necessitates an installation being signed off by a competent person, self-certification is possible for installers with membership of the APHC scheme. The customers of Tuffa’s FireStop fire protected tank, which include domestic, commercial and industrial customers as well as institutions and local and national government, will be reassured by its compliance with Building Regulations, as ensured by LABC (Local Authority Building Control) System Approval. High quality fire retardant material has also been used in the fire barrier’s construction. The customer even has considerable freedom in where to locate the tank, which does not require BS5410 part 1 separation distances to be sited next to a building, boundary, window or structure, again due to LABC System Approval. A Tuffa fire protected tank can also be installed inside for maximum security, and can be specified in any of a wide range of colours to suit its location. The specification sheet of this tank is also impressive, with even smaller models benefitting from such features as a 2″ BSP fill point, float level gauge and electronic remote reading gauge, lockable hinged flip lid and overfill prevention valve. With larger variants able to incorporate the likes of a battery bund and overfill alarm and lockable cabinet, it is a tank that ably caters for the full range of customer requirements.